Looking forward to using your conservatory this summer? Speak to TechfitUK about Coolkote and Solar Window Films to use your room in comfort during the hot days. Window Film supplied and fitted, by established window film professionals. Unlike blinds and materials that trap and absorb heat making a conservatory hotter, TechfitUK Window films reflect the rays that are responsible for making Conservatories intolerable during hot summer days, but also helps to insulate during the winter giving you more time to relax and enjoy your conservatory throughout the year. 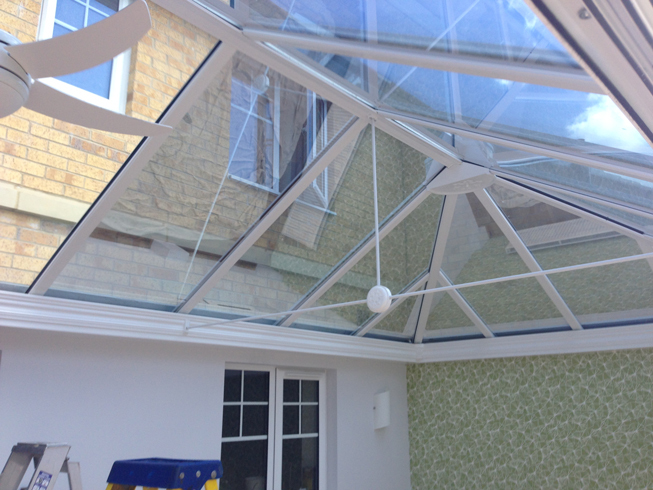 Get a longer Conservatory Season with TechfitUK Window Films including Coolkote films and technology.